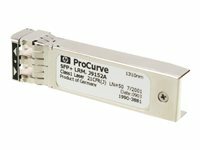 Warranty and support ProCurve Lifetime Warranty: for as long as you own the product, with next-business-day advance replacement (available in most countries). 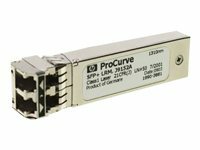 It offers a small form-factor pluggable (SFP) Gigabit SX transceiver that provides a full-duplex Gigabit solution up to 550 m on multimode fibre. 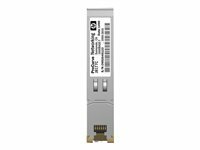 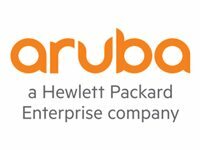 HPE Aruba offers the Gigabit-LX-LC Mini-GBIC (J4859D) with one 1000Base-LX port. 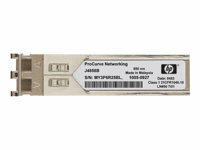 This product is designed for long distance single-mode fibre connectivity. 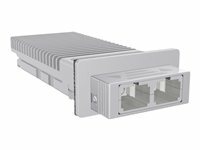 It will support multimode fibre connectivity to limited distances. 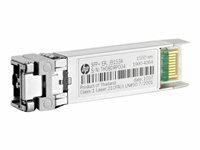 It offers a small form-factor pluggable (SFP) Gigabit SX transceiver that provides a full-duplex Gigabit solution up to 550 m on multimode fiber.